Does your business have a need to manage data more effectively? Whether your need is scheduling, order entry, contact management, or inventory, just to name a few, The VB Programmer, LLC can create a database application for you. We can create user-friendly database applications customized to your needs. There's no reason to use a cookie-cutter, over-the-counter, software program and pull your hair out trying to make it fit your business. The VB Programmer, LLC has the expertise, knowledge and experience in computer programming, data collection and data management to put together or improve upon a database for your business. Our comfort zone includes application development using many popular database back-ends, including Microsoft SQL Server, Oracle, and MS-Access. 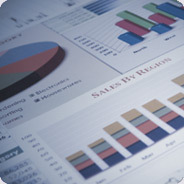 Database applications can be desktop-based or web-based. For web-based applications, The VB Programmer, LLC can update your existing website to include database functionality (or improve upon existing functionality), or build you a data-driven web application from scratch. Conversion of a surgery scheduling application for a medical practice, previously developed as a module to integrate with a stand-alone MS-Access application, to integrate with a newly-acquired third-party high-end medical practice management system that uses Oracle as the backend database. Just give us a call to discuss your needs so we can customize a program for you.